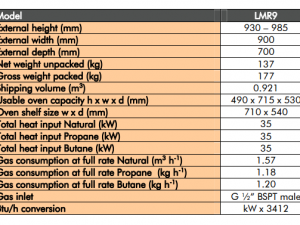 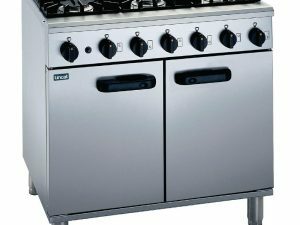 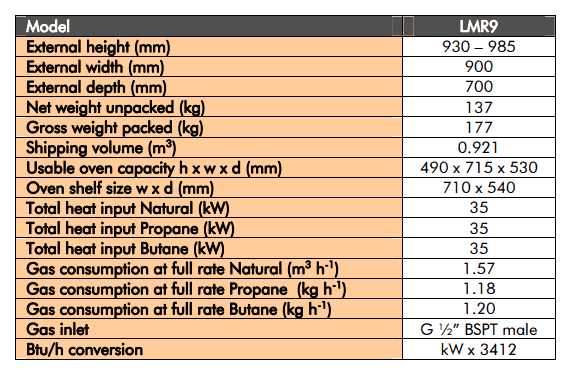 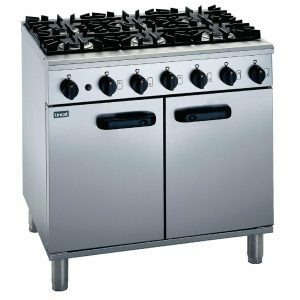 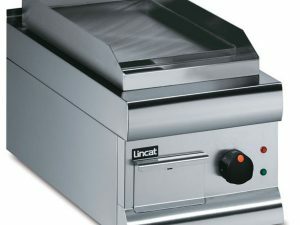 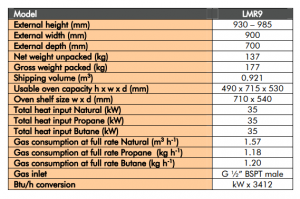 The Lincat medium duty 6 burner gas range LMR9 offers high quality, excellent performance and great value for money. 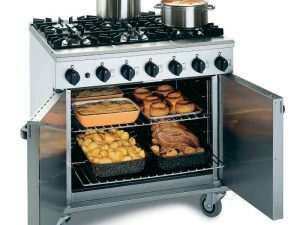 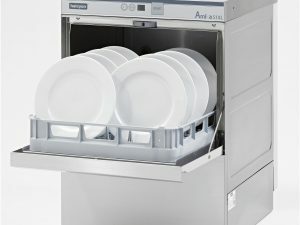 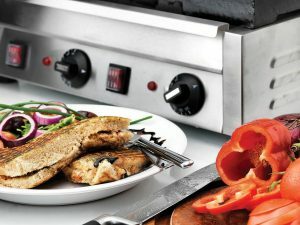 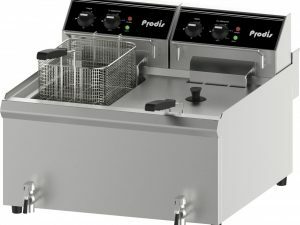 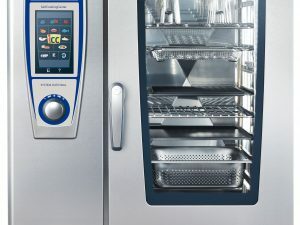 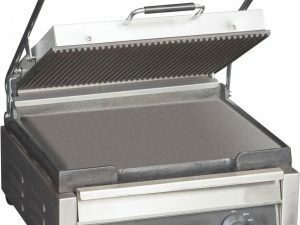 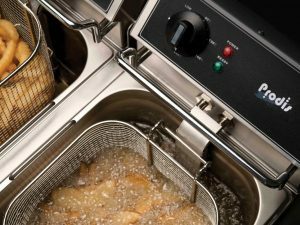 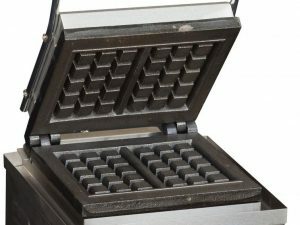 The robust and sturdy stainless steel construction includes 6 quality burners and a large capacity oven which can accommodate 2 x 1/1 Gastronorm pans per shelf. 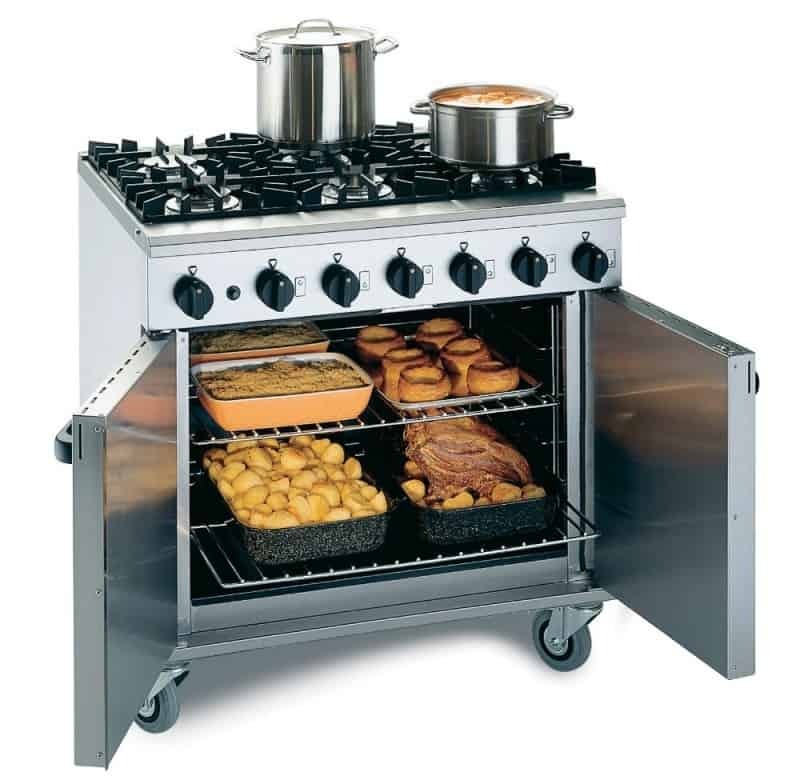 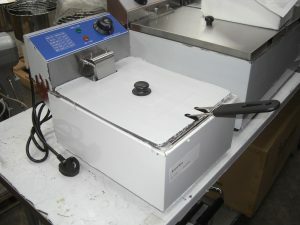 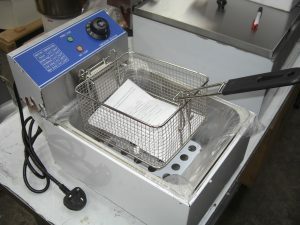 The fully pressed stainless steel hob and enamelled oven interior with removable base allow for easy cleaning. 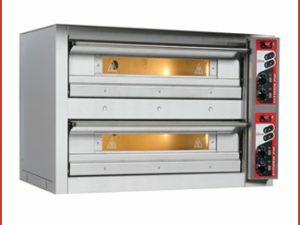 Precise thermostatic control, from 150°C to 265°C, gives great versatility and is supplied with castors as standard.